Buying land is very easy once you have everything up and running and you have your wallet loaded with Ethereum. The only difficult time might be when a new district opens and you want to dive straight in for those cheapest land parcels. From experience, it can be quiet chaotic! 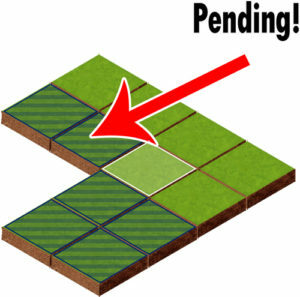 Once you purchase, or try to purchase one tile, the surrounding tiles will say PENDING. This means they can not usually be purchased for the advertised price. This is because they will increase in value once your purchase is completed. **TIP** it is however still possible to add extra GAS / GWEI and speed your transaction up, and beat the original sale! If somebody else was bidding on a land tile close by for example.. just because you see pending, doesn’t mean you can’t actually buy them at the advertised price. 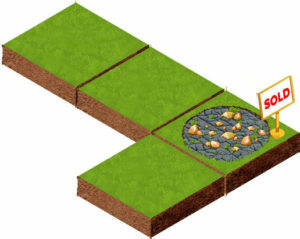 If you are in no rush.. using the safe Gas amount should get you your land fairy quick. Usually within 1 or 2 minutes. Buying land is the only way you will be able to build property and therefor gain influence. The next guide is a basic Influence explanation. ***IMPORTANT NOTE*** the Ethereum network will deal with your transaction – and MCP does not control this once you have started a transaction. Make sure you use enough GAS or maybe increase it to speed up your transaction. Also please check your wallet, in case you have have any previous transactions that might be delaying your new transactions. If you want to learn about how influence is earned, use the button below, otherwise use the menu at the top to find another tutorial. Here you can instantly see the cheapest land tiles available for a given district. Other useful info is also available and you can also purchase land straight from this website!! EVER WONDERED HOW RESOURCE TILES GO WITHIN SECONDS?